A dance festival headlined by Annie Mac and Carl Cox could help the campaign to save the Madeira Terraces, organisers say. 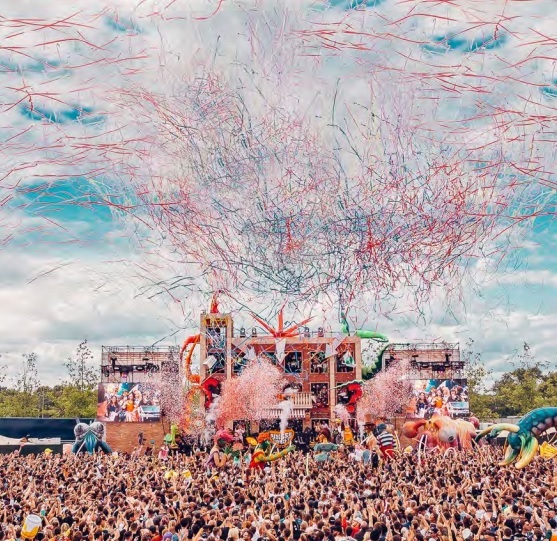 Concorde2 and promoters LWE want to hold an electronic dance festival on Saturday 9 and Sunday 10 June next year, attracting up to 9,000 people each day. Its proposal, currently being considered by Brighton and Hove City Council, says they are in early discussions with Annie Mac and Carl Cox to headline each day. And it says if it is given permission to use Madeira Drive, it will ask guests to give a set fee to the terraces campaign, which could generate thousands of pounds. The proposal says: “Madeira Drive is synonymous with Brighton and not content with purely using it as our back drop, our expectation is for national and international press to quickly jump on the momentum of this project, which in turn would increase awareness of the Save Madeira Terraces campaign, a project we are keen to support. “We would like guests to give a set fee to this charity on entry which will generate thousands for this worthy cause. Our mission is to create an internationally recognised event for Brighton which residents can be proud of and feel connected to. We will bring a musical line up that will be as colourful and cool as Brighton beach front itself. Two days of different music, both rooted in the electronic world that are credible with the press yet still broad enough to have universal appeal. The event would take three days to build, and another two days to dismantle, which means they would need to cordon off Madeira Drive from Concorde2 to Duke’s Mound for a week. The proposal says it will minimise disruption to residents by providing toilets and cleaners, with stewards preventing loitering and contact details sent to neighbours before the event. It says as well as bringing people to the area who are likely to spend money with local shops, hotels and restaurants, city food traders can apply to sell food at the event itself. Concorde2, which has suffered disruption from the closure of the terraces, has pledged £2,000 to the Save Madeira Terraces crowdfunder, which now has 22 days to go and has reached 62% of its £426,910 target. LWE has previously run the Printworks London, Tobacco Dock and Junction2 festivals in London. The proposal will be considered by councillors at the tourism, development and culture committee next Thursday, 16 November. “We will avoid musical genres that could attract a less desirable crowd”? – what the hell does that mean?